This wonderful new invention will enable any man or woman to thoroughly master correct breathing; increase the chest expansion 2 to 5 inches; enlarge the chest to its full beauty; fill out the hollows of neck, shoulders, arms, develop a beautiful classic figure, recharge the system with renewed strength â€”powerâ€”vitality. Nothing like it ever invented beforeâ€” registers automatically your correct chest expansion and cubic inches breathing capacity. The principle of the PSYCHO-EXPANDER is that which gives to Great Singers and Grand Opera Stars such perfect health and charming physical development. Wonderful Invention for Singers, Speakers, Teachers, YOU! PERFECT BREATH CONTROL and richer tone quality of the voice now assured. Results amazing for everyone who desires to improve in voice and health. 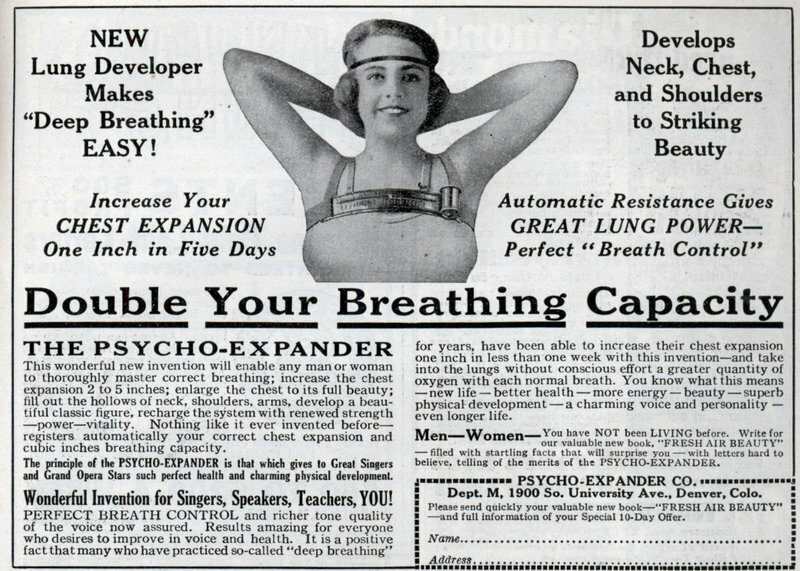 It is a positive fact that many who have practiced so-called “deep breathing” for years, have been able to increase their chest expansion one inch in less than one week with this inventionâ€”and take into the lungs without conscious effort a greater quantity of oxygen with each normal breath. You know what this means â€” new life â€”better health â€” more energy â€” beauty â€” superb physical development â€” a charming voice and personality â€” even longer life. Men–Women–You have N0T been LIVING before. 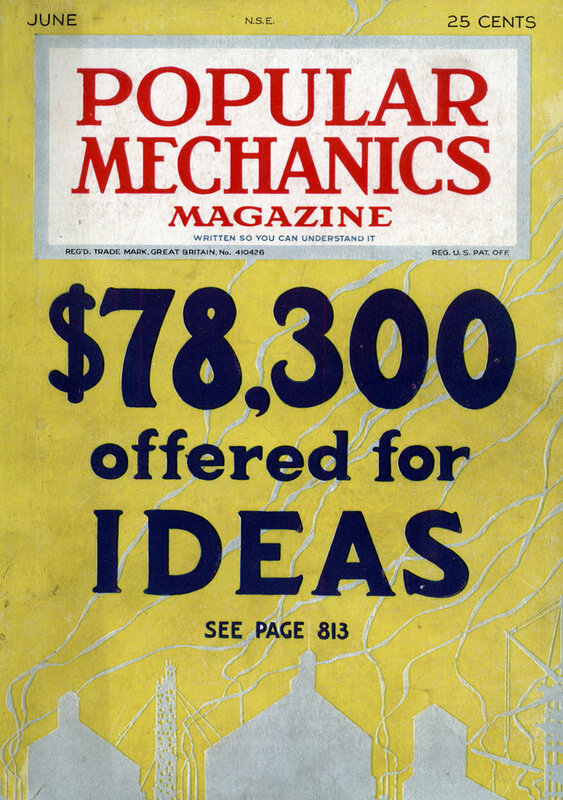 Write for our valuable new book. “FRESH AIR BEAUTY” â€” filled with startling facta that will surprise you â€” with letters hard to believe, telling of the merits of the PSYCHO-EXPANDER. Dept. M. 1900 So. University Ave., Denver, Colo. Please send quickly your valuable new bookâ€””FRESH AIR BEAUTY” â€”and full information of your Special 10-Day Offer. Her lungs look pretty well-developed already!